Post is sponsored by FitFluential LLC on behalf of Cory Vines. NOTE: Click on the exercise to view video instruction. 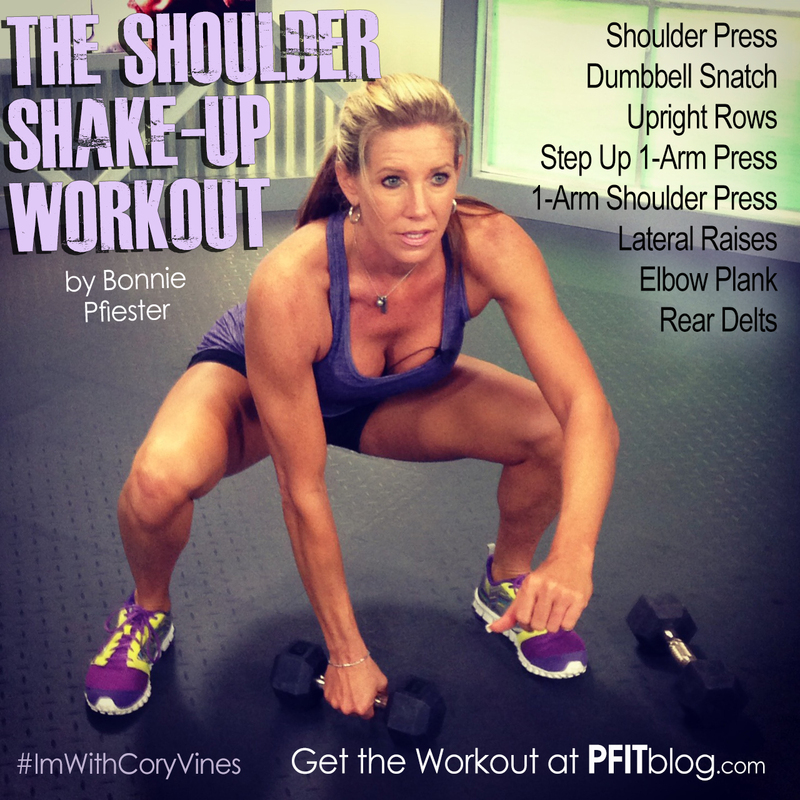 I’m wore my brand new Cory Vines racerback tank yesterday and loved it. It’s super soft, light, extremely breathable and has moisture wicking technology that allows sweat to evaporate quickly. It fit really nicely (somewhat fitted in the chest area, with a nice bit of light stretch), but a little looser through the waist so I’m not suffocating or feeling like every fat roll is showing through. Best yet, it’s not expensive! Get this tank. I need this – my shoulders are always my weakest area!! !